Image: Fishguard Lighthouse, this photo is available to licence on EyeEm. Wia Dot One, accessible colours, naval sounds, generative Aphex Twin, software hiring, semantic HTML, hacking a Tesla and ostrich robot! Last week I travelled back to Ireland via the Stena Line Nordica from Fishguard to Rosslare. If you ever happen to make the journey and it isn't raining, I recommend going up on deck as the ship leaves Fishguard harbour. 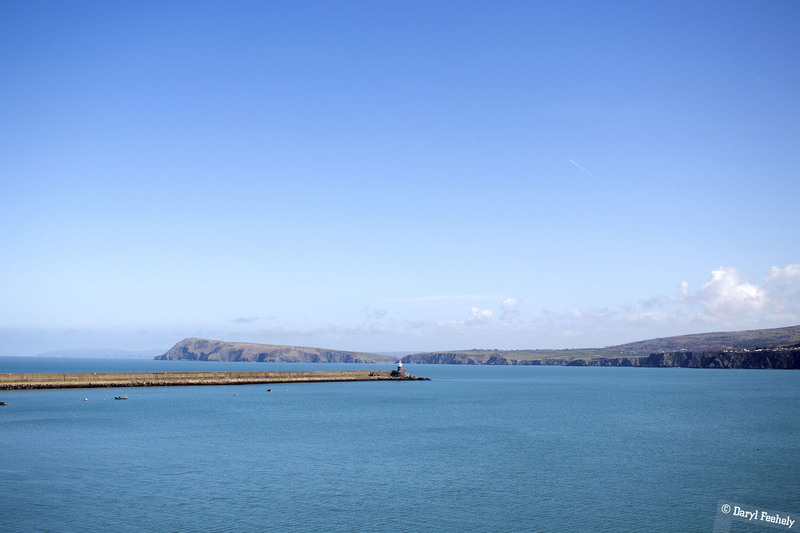 You get a nice view of the Fishguard Lighthouse off the port side. Dublin IoT company Wia have released their first physical product, the Dot One. The IoT maker board is designed to help people discover the world of electronics and engineering using plug and play modules like buttons and sensors, without needing any programming experience. The Dot One board has built in WiFi b/g/n, Bluetooth v4.2 and a dual core 32-bit processor. It is available to pre-order at €24.99 on the Wia website. L.A. based design studio Use All Five have a great online accessibility colour picking tool which shows whether the colours pass the different levels of WCAG accessibility compliance. The San Francisco Maritime National Park Association have published a collection of historic naval sounds and video on their website. The collection includes audio of navy attacks during World War II, sonar training audio and various audio of sea creatures. Alex Bainter has a good explainer post on Medium about how he used Markov Chains to generate a much longer version of Aphex Twin's aisatasana. Using a JSON representation of a MIDI file of the track, he built a Markov Chain system to generate over four million unique phrases which can play for over 451 days without repetition of a phrase. The result is available to listen to on generative.fm. Nikita Prokopov has a superb blog post about how a lot of tech companies approach the hiring of software engineers incorrectly. He pulls no punches in describing how impractical it is to write code on a whiteboard, not being able to run and test interview code, the irrelevance of puzzles and the missed opportunities when not customising interviews to the interviewee. I could not agree more with everything in this post! The Tencent Keen Security Lab have published a paper on successful hacks they have carried out on a Tesla Model S 75. Some of the attacks described in the paper can be used to gain remote control of the car's steering or to trick the windscreen wiper system into activating. A more serious attack uses perturbation to trick the lane AI image recognition to drive into oncoming traffic. By placing small stickers on the road to simulate a lane diversion, the physical attack confuses the AI lane detection and the car follows the path into oncoming traffic. Boston Dynamics released footage of its Handle robot moving boxes around on a factory floor. The robot uses a counter weight to balance boxes up to 15KG similar to how a T-Rex used its tail while in motion. I also think it does a mean Ostrich impression, however it's no Colin Stiles! Found This Week is a curated blog of interesting posts, articles, links and stories in the world of technology, science and life in general. Each edition is curated by Daryl Feehely every Friday and highlights cool stuff found each week. The first 104 editions were published on Medium before this site was created, check out the archive here.